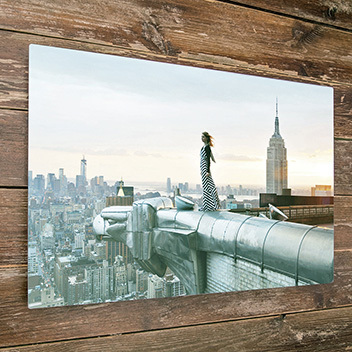 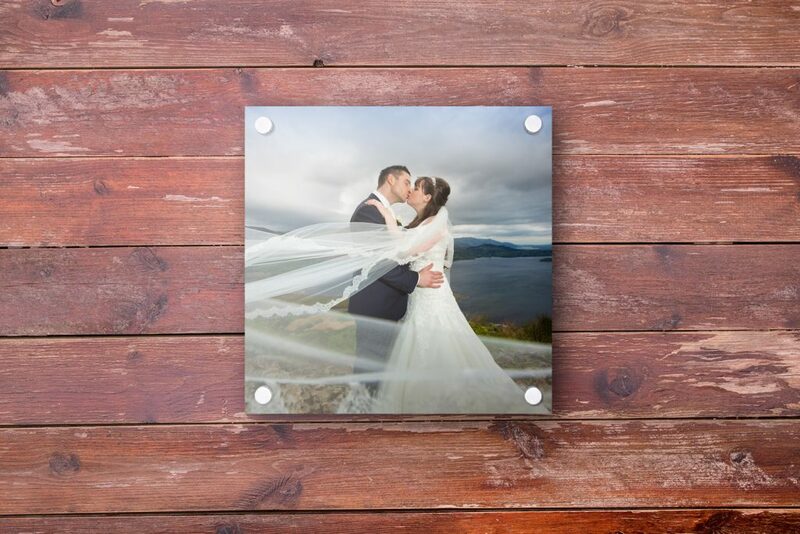 Our stylish and modern Acrylic Photo Frames are delivered to you ready to hang. 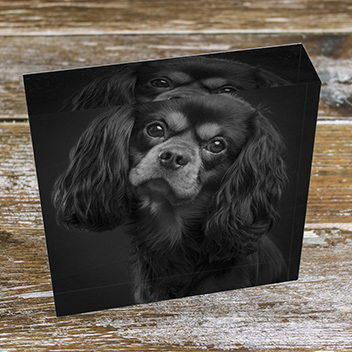 Your photographic print is sandwiched between a piece of crystal-clear 5mm acrylic and your choice of either Brilliant White, Black or Frosted 5mm Acrylic back plate. 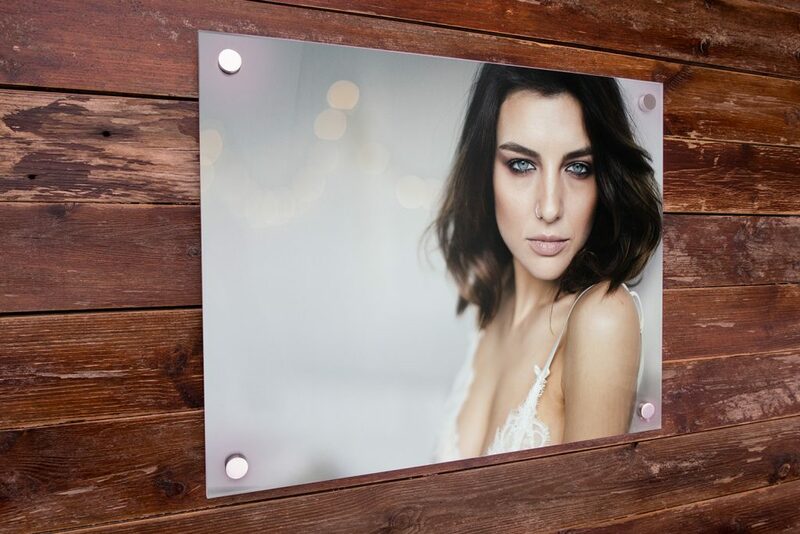 Both the front and back Acrylic sheets are laser cut and diamond polished to ensure the best clarity on the market. The acrylic is fixed in place securely in order to avoid the photograph between the sheets becoming damaged over time. 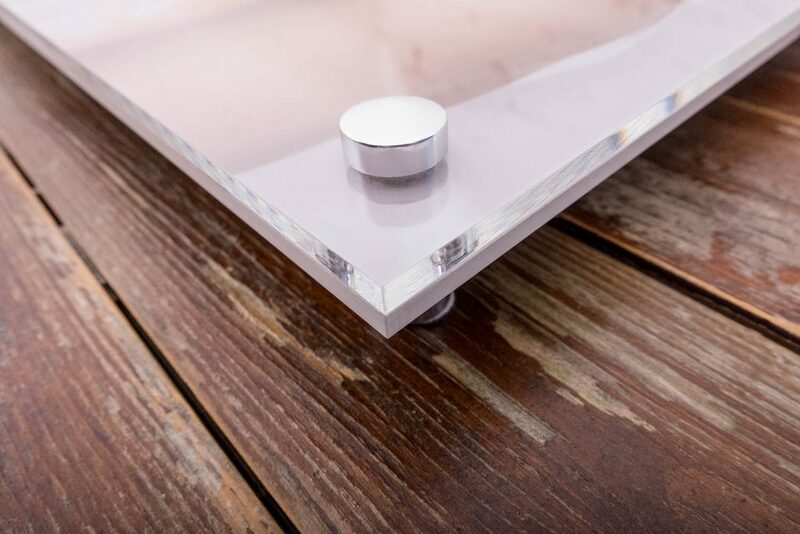 The smaller sized* products come complete with aluminium “stand offs” and a spring-tension hanging system. 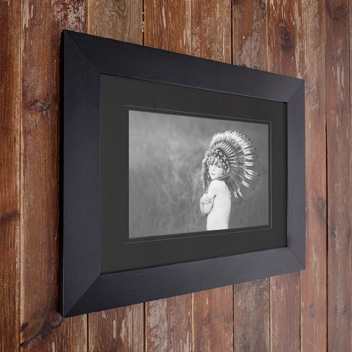 This removes the need to drill 4 separate holes (as most acrylic frames do) to fix your acrylic frame to the wall. 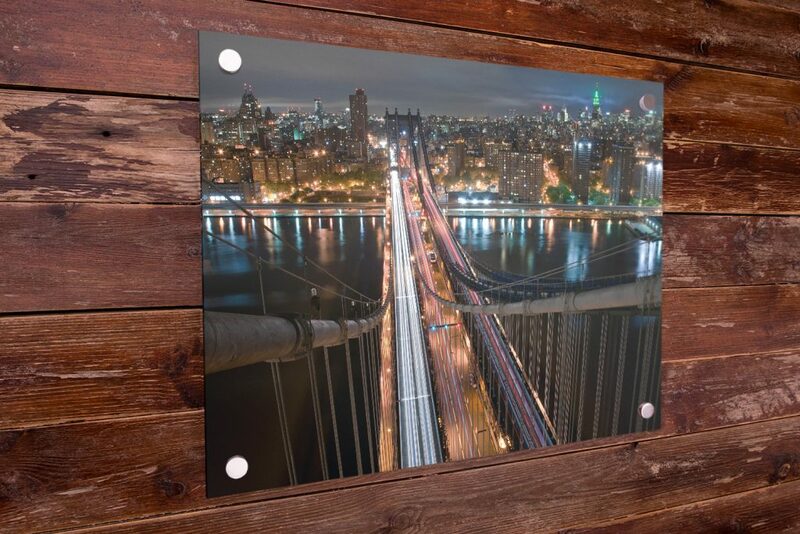 *Sizes above 24″x20″ (or 24″x24″ in square format) are not supplied with these hanging kits as these frames are too heavy for the system.